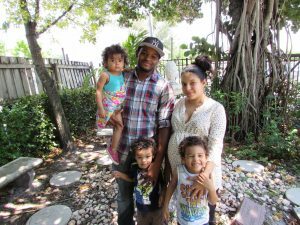 The Senator Philip D. Lewis Center (Lewis Center) is the centralized point-of-entry for families and individuals experiencing homelessness in Palm Beach County. We are a proud Lewis Center partner, and serve as the lead agency for families who are homeless and in need of stable housing. Through assessment, housing placement, and comprehensive case management, the Lewis Center team provides critical resources to our community’s families who are most in need. Families seeking services at the Lewis Center face the greatest barriers to housing in our community. It is Adopt-A-Family’s goal to rapidly re-house families and start them on a path to stability and self-sufficiency. Program Impact: Through Rapid Re-Housing, Permanent Supportive Housing, and emergency housing options, the Lewis Center team provides housing solutions to more than 300 families a year. The team also navigates more than 1,500 families in a given year, providing critical links to community-based resources. Key Funding Support: Palm Beach County Division of Human Services and The Homeless Coalition of Palm Beach County. Funder spotlight: Through generous grant funding from BallenIsles Charities Foundation, children served through the program have received brand-new school supplies each of the past three years. Click to read about the Harper family, (pictured above) a success story from the program.